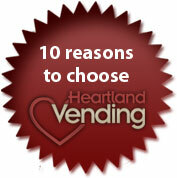 Heartland Vending makes snacks the healthiest part of your day. 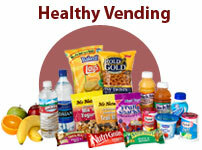 Having healthy snacks as a regular part of your snack vending options can have a very positive impact on your organization. Employees LOVE healthy options. Your staff will feel better, work harder, and you could spend far less on sick time and missed days. 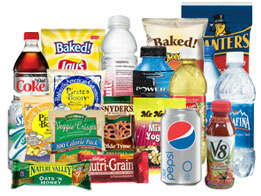 No wonder businesses all over America are making healthy snacks a regular part of their vending experience. 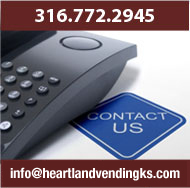 Heartland Vending lets you enjoy a wide variety of healthier trail mixes, baked chips, fruit bars, granola bars, juices, and bottled water. You can also choose alternative food products like beverages, chips, candy bars and cookies that have reduced levels of fat, cholesterol and sodium. You will also want healthy beverages to complete the experience. Heartland Vending stocks a variety of healthy beverages including bottled waters, flavored waters, juices, teas, diet sodas and low calorie sports drinks like Propel and G2. We also offer enhanced waters such as VITAMINWATER®.